Dinner time is always a mad house during the school year, even in the summer for that matter. We always try to stick with Easy Dinner Recipes in our home. It gives up more time for homework and baths! Our favorite easy dinner recipe is my famous Super Creamy, extra Yummy Hash Brown Casserole (+ 8 different ways to make it a meal). Trust me, if I don’t show up with my Famous Casserole to family events they would kick me out and make me go home. It’s that good, folks! After you give mine a try, head on down and try these 15 Fantastic Hash Brown Casserole Recipes from some of my favorite blogs. If you are looking for some Easy Dinner Recipes you will love these fantastic Hash Brown Casserole Recipes! Easy and so good! I hope you enjoyed today’s featured article! 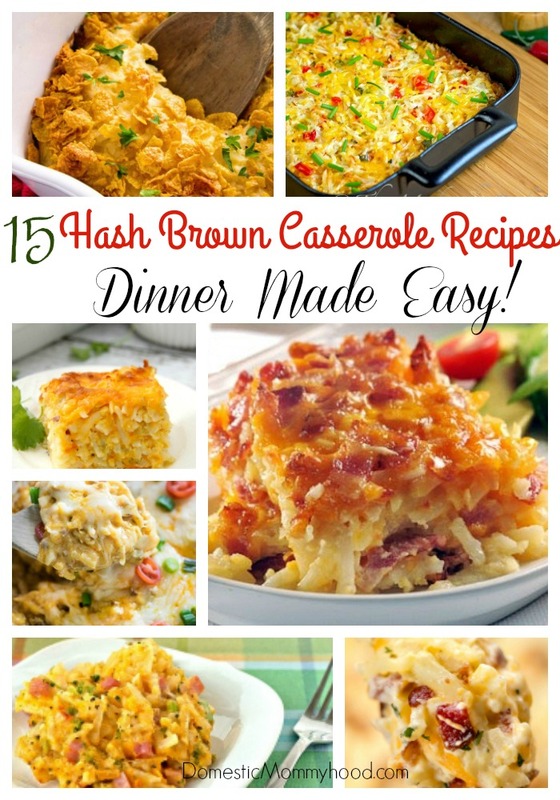 Hash Brown Casseroles have been my favorite for years!! It is comfort food at it’s best!